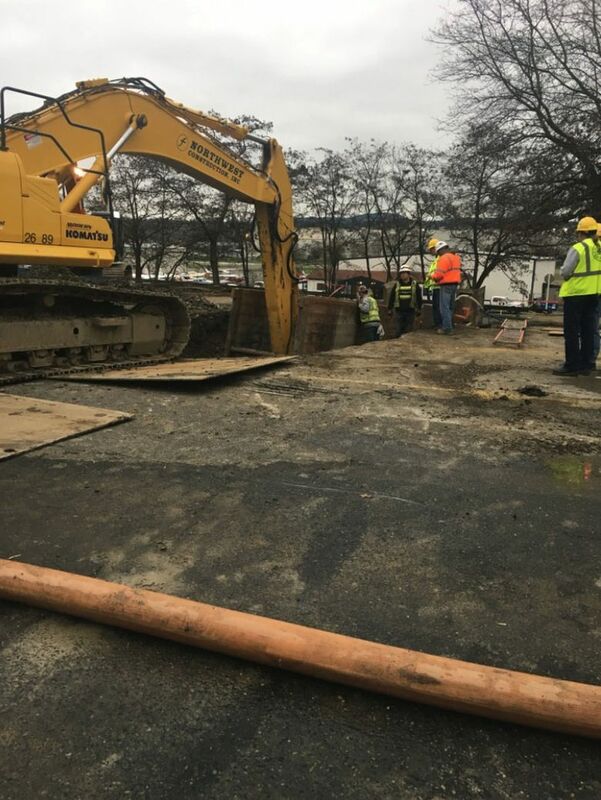 A deep sinkhole in the 900 block of Rainier Avenue North that forced Renton to make emergency repairs throughout the night will keep the arterial closed through at least Friday morning, according to Renton officials. An exact opening time is unknown. 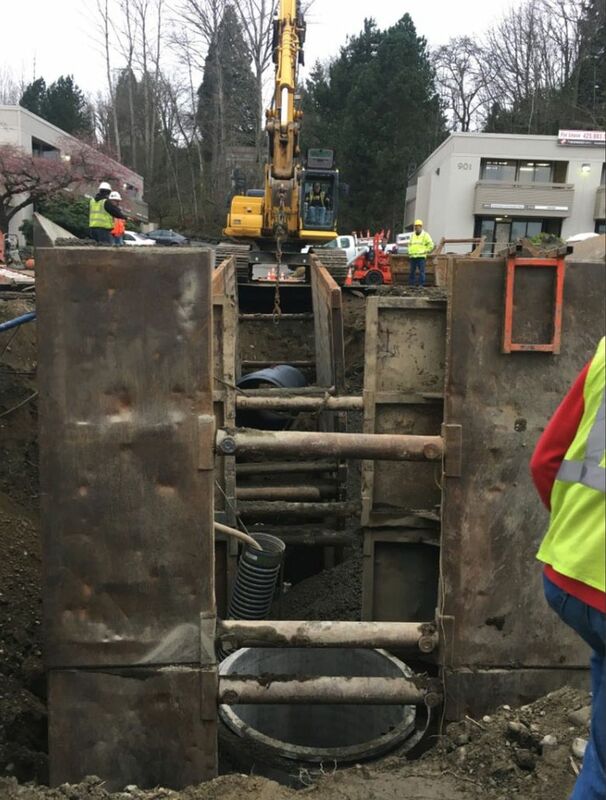 The 25-by-30 feet wide sinkhole that’s about 15 feet deep was caused by a 3-foot-wide rusted steel stormwater pipe that broke, damaging the concrete access vault that was poured around the pipe, said Patrick Zellner, Renton’s street-maintenance manager. 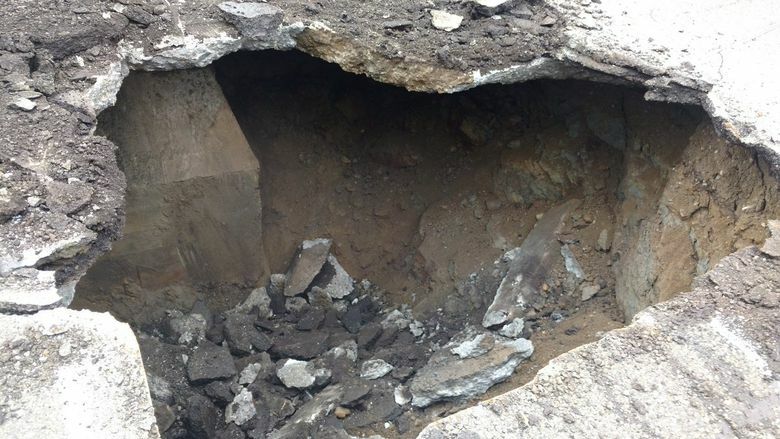 A contractor began digging around the void Wednesday afternoon and worked through all of Thursday. 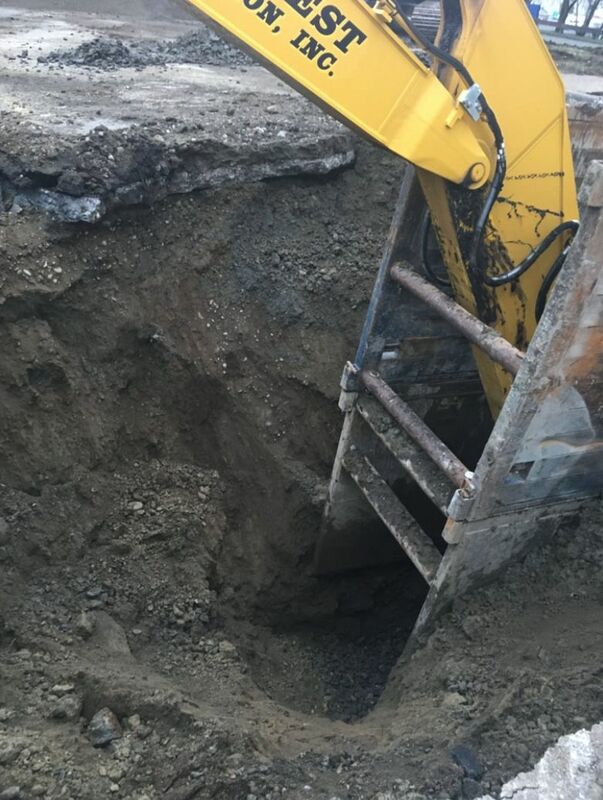 A tweet from the city Thursday afternoon said crews needed at least one more night to finish the job. “Thanks for everybody’s patience on this,” the city said in its tweet. Renton is 117 years old, and the street was widened over past decades from a two-lane concrete highway into an asphalt coated boulevard, with older components beneath.